REDUCED! 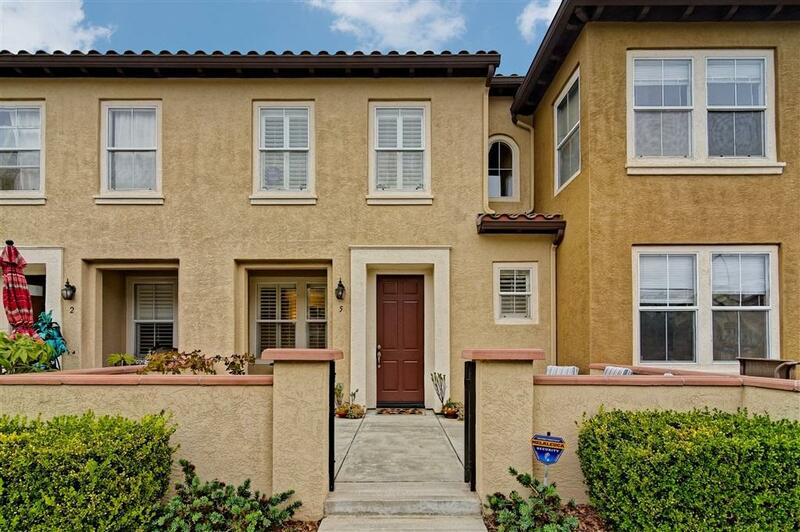 Prepare to be Charmed at Cortina in Torrey Highlands Village! A Semblance of a TuscanVillage reflected in Landscaping and Architecture! 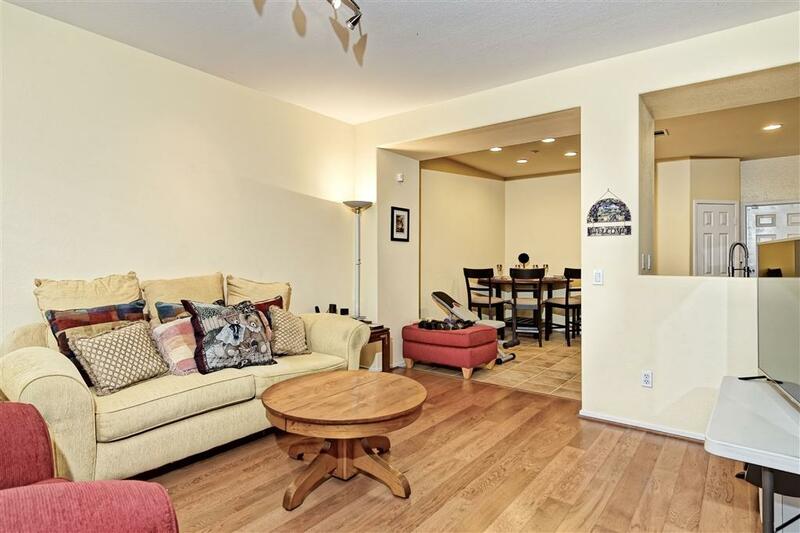 This Former Model2 bed., 2.5 bath townhome with 2 car att. 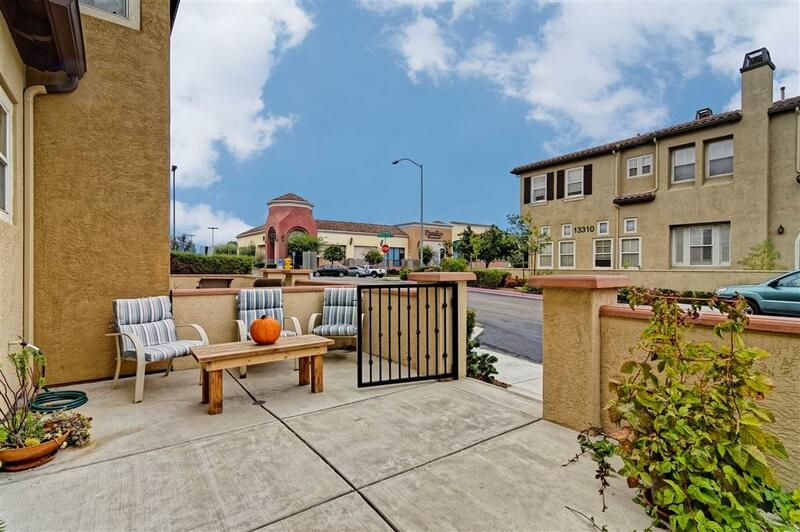 garage, conveniently located across from Torrey Highlands Village Shopping Center, Dining, Peet's Coffee, other conveniences, features many Luxe Upgrades, an outdoor patio, covered rear balcony, to enjoy our Enviable California Climate. Includes A/C.Relax at the Community Pool/Spa. Near Poway Schools. Luxury Upgrades include wood floors, Center Island in kitchen, slab granite countertops, pantry closet, recessed lighting, attractive light fixtures, Rich dark wood cabinetry. Washer/Dryer/Refrigerator included. Upstairs Laundry Room. 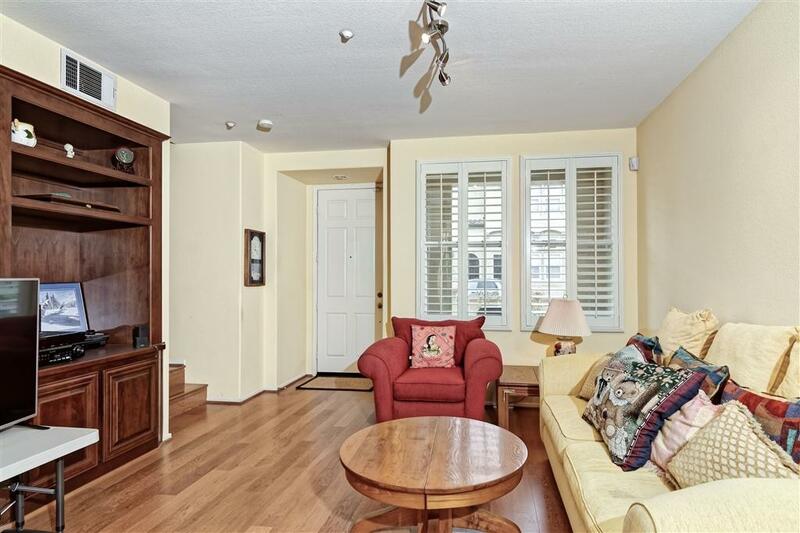 Built-in Media Center, Fireplace in Living Room, Beautiful Plantation Shutters. Walk-in Closet in Master Bedroom, Dual sinks in Master Bathroom. Property has an East/West orientation.